Poor cashflow management is one of the primary reasons four out of five businesses fail in the first five years. But why do start-ups struggle to stay on top of their finances? And what can you do to make sure financial woes don’t impact your business? Saija Mahon – founder and managing director of Mahon Digital Marketing – spoke to us about business financial management, investment, and why a start-up’s primary focus should be getting a grip on cashflow. Those first years of setting up a business can be a whirlwind for first time entrepreneurs, with the excitement of securing customers and making sales matched by constant concerns over financial insecurity. “That pot of investor money is finite – ultimately you need customers to buy your products. “One part of this, certainly from what I’ve seen, is that start-ups don’t focus on the customer enough, or building up their go-to-market strategy – they think that the investor will pay anyway. 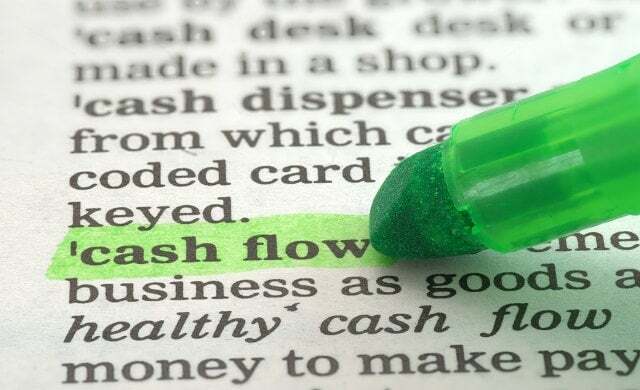 In your eagerness to fuel rapid growth, it’s easy to lose sight of day-to-day income in favour of the more exciting prospect of investment – but don’t forget: cashflow is the lifeblood of a healthy business. And while a growth capital injection might give you a much-needed boost, that money is going to run out eventually, and you need to have a plan for when it does. Entrepreneurs need to be more aware and better educated about this issue so they can prepare. Mahon says: “Start-ups tend to not think of the cash flow, and the customer base who will bring in that cash flow. They see cash as coming from the investor, and in the long-term, that’s wrong. Starting a business can be a daunting experience, especially when faced alone. That’s why entrepreneurs should make use of business networks for support and encouragement. There are millions of others who have gone through, or are going through, the same trials and tribulations as you and can offer advice. “I’m part of many groups and networks for entrepreneurs, and we exchange ideas and we share failures and mistakes etc. to make sure that if you’ve made a mistake, then I don’t have to make that same error. I can learn from you, or I can share a shortcut that you can utilise so we both succeed. Rather than spending your energy chasing funding rounds when your short of cash, focus on getting paid on time first so you’re in a more stable position to search for finance. “Automated cash collection with GoCardless removes the need for awkward conversations with customers, saves time and it obviously helps cash flow – that’s a huge thing! But it also means you can focus on growing the business and not spend time trying to get the money you’re owed. “Direct debit and automated cash collection is not yet the standard. But hopefully change is happening right now. As entrepreneurs, start-ups and businesses, we need to move onto this automated way of paying. If you’re just starting out on your business journey, you have the opportunity to implement a positive payment culture from the beginning. Ensure you’re building a solid pipeline of sales, income and cash, and don’t start looking for investment until you’re in a strong financial position.